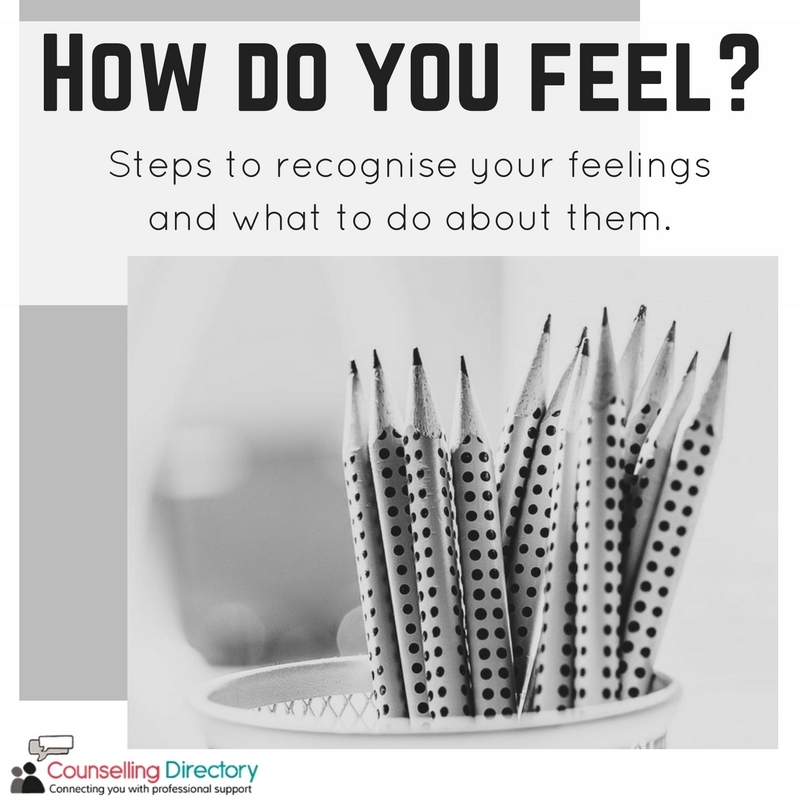 Steps to recognise your feelings and what to do about them. There are times when all of us will experience overwhelming moments. Moments where you feel ‘not quite right’ or unlike yourself, but you can’t understand why. It is these moments where you may need to take a little extra time to yourself. You may need to take some time to recognise how you are feeling and what may have caused you to feel this way. But how can you do this? We list some of the steps we take when we aren’t feeling ourselves. When you’re not quite sure of how you feel, write down all of your emotions. Get yourself a journal or notebook and write everything that is going through your mind. Whether it is full sentences, bullet points or a word cloud, be sure to write down absolutely everything. If you don’t want to write, start drawing. Perhaps you would like to draw an image surrounding you – start with a person and surround them with all of the things or words that are overwhelming you. Remember that we are all different, so do whatever feels right for you. Shut your journal or sketchbook and put it aside for a few hours. Take this time to do something you enjoy. Make a cup of tea and put on your favourite film, go for a walk or sit down and talk to a friend. You don’t have to talk about what is bothering you, just enjoy yourself. Make this your moment to rest, relax and laugh. Return to your words or drawing and reflect. After your rest, sit down and acknowledge what you can see on the page. Is there a pattern in what you have written down? Is it school or work-related problems or is a relationship issue? Are there things you can do to ease the stress of the problem? On a new page, write down possible solutions – if you are unsure of solutions, write down everything you are grateful for. Make a list of everything that makes you happy. Once again, close your journal and tuck it away. Practise yoga, read a book, pamper yourself with a bath and a face mask – do whatever you want! You have poured your feelings onto the page, so enjoy these moments where your mind seems clearer. Talk to somebody. If you haven’t a friend or family member you feel comfortable talking to, you can call the Samaritans for free on 116 123 or you may benefit from talking to a professional. After a good night’s sleep, turn back to your journal. Write down or draw everything you now feel. Do you feel better? Are you feeling less controlled by your own emotions? 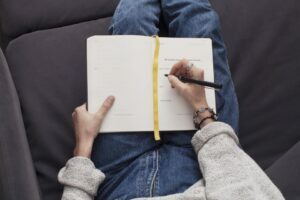 Keep the journal in your drawer for the times you start to experience these feelings – feel the tension and stress start to ease as your pen touches the paper. When you feel this way, it is important not to let it take over. 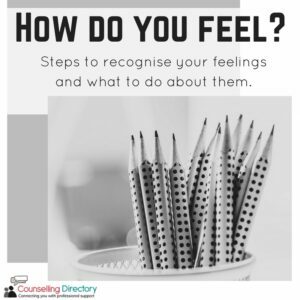 Schedule time for yourself and recognise how you feel – talking to others can be a great help, even when bottling it up seems like the better option. It is important to take care of your mind and body, even when you feel you don’t have the time.